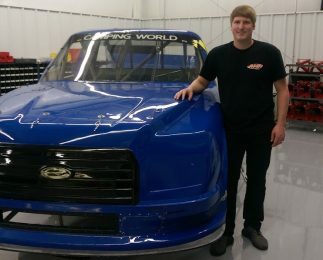 Austin Hill is set to compete in at least half of the 23-race schedule for the NASCAR Camping World Truck Series this season. The 21-year-old driver, who finished third in the NASCAR K&N Pro Series East standings last season, will kick-off his part-time schedule at Daytona Int’l Speedway for the Empire Racing Group. He will then move over to his own race team – Austin Hill Racing – for the remainder of his season. Hill, a Winston, Ga., native, is set to enter the field at tracks including Atlanta Motor Speedway, Dover Int’l Speedway, Kentucky Speedway, Bristol Motor Speedway and Texas Motor Speedway. Veteran crew chief Doug Chouinard, who previously partnered with Hill in the K&N Pro Series, will guide the rookie competitor in this next level of his career. Hill jumped into the NASCAR spotlight over the past two seasons when he earned four wins, one pole, 12 top-fives and 21 top-10s in the NASCAR K&N Pro Series East. Hill has competed in six Truck Series races over the past two years. In just his first Truck Series start, Hill led 21 of the 200 laps at Martinsville in 2014.